There are many ways of reusing plastic bottles out there on the web and here is a creative DIY idea to make cute plastic bottle planters. With a little bit of creativity and patience, we can make useful stuffs with something that we are going to discard. This is also a project that your kids can involve. They can learn the concept of upcycling plastic bottles and have fun in doing this. 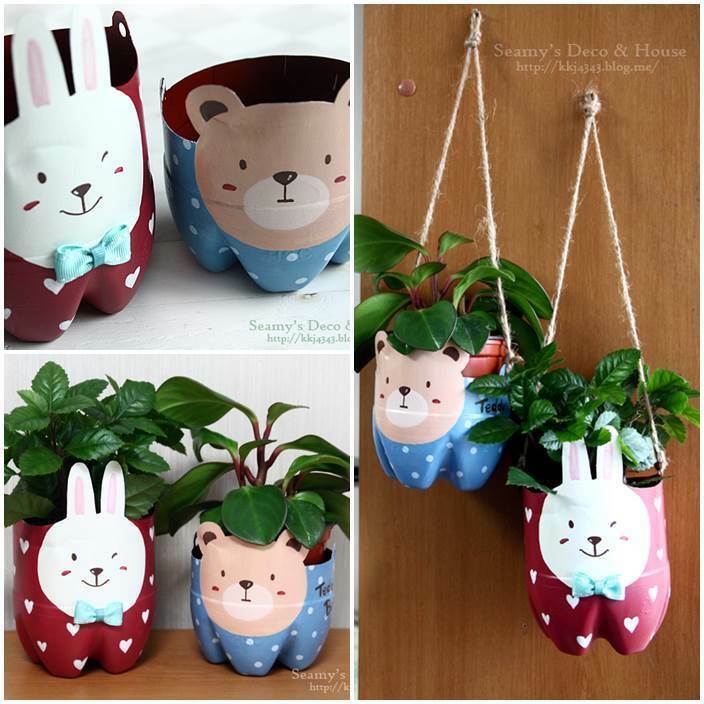 And these plastic bottle plant pot are so cute! You can either hang them on the wall or just place on the table. Enjoy!